Healthier helps you to balance work and health. 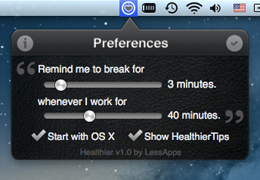 It periodically reminds you to take a break off your computer and suggests HeathierTips. 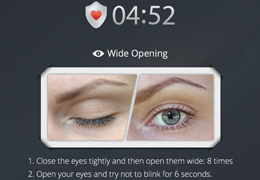 HealthierTips are our hand-picked, office-suitable exercises for both eyes and body that you can follow during the breaks. All important functionalities are one click away. 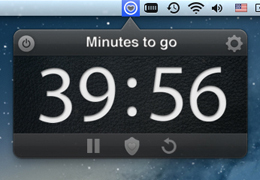 An animated menu bar icon always shows how much time is left to work. 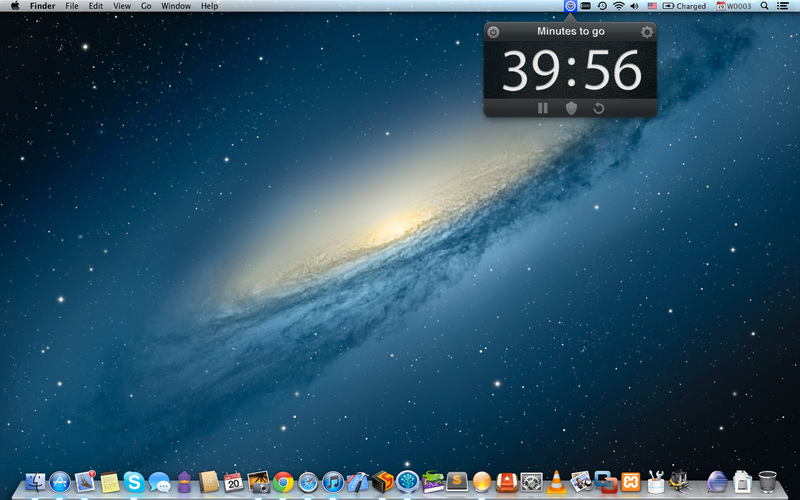 Beautifully crafted design and subtle animations for an enjoyable experience. 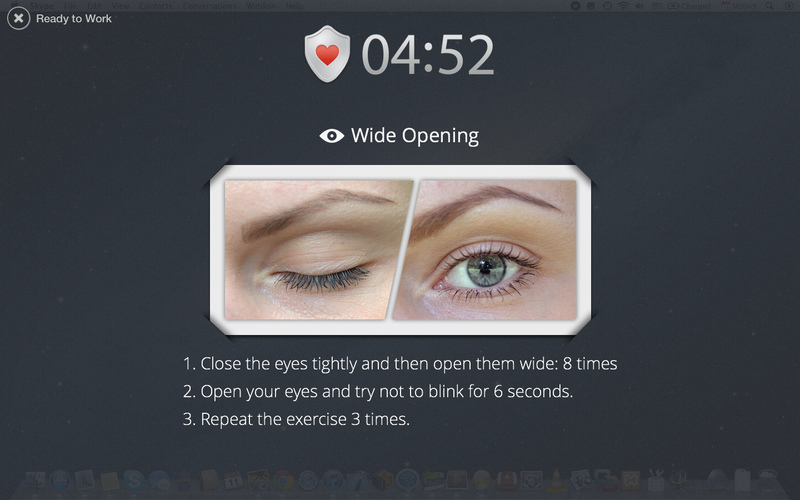 HealthierTips: 14 office-suitable exercises for both eyes and body that you can follow during the breaks. Alternatively, 50 hand-picked quotes to keep you motivated. Automatically resets the timer when computer wakes up from sleep. Automatically starts with the computer, if you choose to. Fully sandboxed for your peace of mind. We won't spam you as we hate spams ourselves. © LessApps 2015. Built with Bootstrap.